Thinking about changing your hair color? Look no further! — 10+ trendy styles: blue, purple, pink, magenta, platinum and other colors are available. — Try on live: experiment with your hair color in real time to complete your looks virtually before taking a photo. — Share result... see more Thinking about changing your hair color? Look no further! 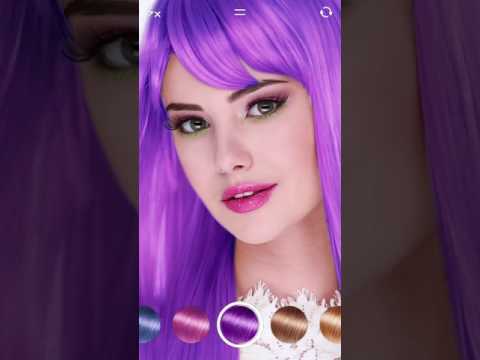 — Try on live: experiment with your hair color in real time to complete your looks virtually before taking a photo.